Thing is, there is also a major factor that block people from coming. Let's not kid ourselves. The game look BAD. It's like a Dinosaur at this point and with so many games with much better graphic, they will go away. Even if it's not the same scale. Personatly I can't wait to get in Post Scriptum for example, or even Heroes & Generals. Yes, the game is not pretty and there's not much that can change that, but, I don't think it's such a negative thing. You've seen the numbers reached on Steam. Those people downloaded the game even after viewing the (albeit staged) screenshots and played it afterwards, too. Also, based on feedback from reviews, there are other issues which have led to players dropping the game which are much more significant - and addressable - than the graphics. to end all current plans. I'm not coming back until they release the HE audit and I get feedback here in the forums on it's effectiveness. As soon as 1.36 with HE and KE audit are in, the same soon I will chip in with a full sub again. the new guns vehicles and mechanics didn't bring the game back to it's prime, or even back to activity levels 3 years ago. Not sure it is the price, it's action? I'd cut supply of everything with a motor in half and maybe even 75% - far too many tanks and aircraft. Less tanks and air means trucks will survive more and less camps - forcing infantry to fight it out (hence action). Then I'd cut capture times to 2 min; maybe even 1 min. I'd keep the sliding cap scale much as I dislike it, have to keep something in for low pop help. And I'd consider lowering SD to maybe 15 seconds max as the sliding cap timers are penalty enough. What are other ways to increase the action on map? Such a shame, as its the single biggest issue new players raise as a turn off. I can't think of another game that is more expensive per month. 1.36 is the hybrid town supply release i'm pretty certain. There are two major things I have bee waiting for, paying the sub in the mean time. Fix the bugs related to armor and gun performance. = HE/KE + armor review. Pretty much this. I haven't played in a while (even though I have a sub) due to the low numbrs. I will probably keep subbing until after the promised upgrades etc and see how it pans out. I don't know of any that are MORE expensive, but I do know that WoW, LOTRO, DCUO and others still charge $14,99 each month for their subscription pricing, and people ARE paying that price. Here's the thing that some folks are not saying, so I will. BIG companies can take the kind of risk that you are suggesting. Why? Because they usually have a ton of resources, a larger customer base, a large paid team, and often a second game either already up or in the works. CRS has NONE of these. CRS has pretty much made ti clear that, at the present price, the current subscriptions keep the game going, and are even allowing for new additions to the game, if slowly. Now, if they lower the game subs, that money has to come from somewhere, and they need to be able to count on it. That means that they first have to get enough PERMANENT new subscribers to make up for a reduction of a third to one half of the current pricing, and then get enough more to actually make a difference. And those folks need to STAY for a long time. So who here has a few thousand new subscribers who they know will subscribe and stay if CRS were willing to take a risk and lowered the overall price? I don't blame CRS. Not only are they not the only game charging $15 a month, but people are asking them to risk everything on one throw of the dice, hoping that the EXTREMELY fickle Steam community will suddenly come flocking and will stay in numbers that will keep the company going. One of the reasons that long term customers have invested in the game, and continue to do so, is that we want the game to survive. We are invested in the entire deal... The game, the community... friends.... The new Steam customers won't have that. It takes time... and to be quite honest, many of them won't care if the game keeps going or not. If they like it and it stays, they will likely stay with it. If it were to fail, most wouldn't even blink. They would be off to the next game. I'm NOT insulting them. As a long time Steam customer myself, I just know how Steam works. THANK YOU for finally pointing out that the emperor has no clothes!!!! sydspain, you've just written one of my favorite forum posts in all the ~18 years I've been with this game. The Steam roll-out was a failure, and on top of that, the reviews are mostly negative (sorry to say, but I remember CRS folks posting in these very forums claiming that the numbers will be huge). As a day one player (who eagerly followed this game's development as far back as circa ~2000), it's deeply frustrating that negative criticisms by mainstream audiences have consistently been dismissed out of hand; by the old dev team and the new, it seems. With the coming of realistic first-person WWII sims like Post Scriptum and Hell Let Loose (YES, they are in some ways far more realistic than this game, regardless of outlandish CRS claims about what's going on under the hood), WWIIOL is on the verge of obsolescence (YES, this time is DIFFERENT; you can only come back from the dead so many times). In an alternate reality, WWIIOL could be considered an MMO adjunct to this next generation of WWII games, a more massive version for players who want the same kind of action on a larger scale. It's simply not there right now. I am NOT "bashing" this game or CRS. I love this game. Always have. And I absolutely, positively appreciate the commitment and hard work going on behind the scenes. I have donated money in almost every fundraiser, and my Dad was a member of the first group of builders (convinced to do so by me). I just really hope all that hard work isn't misguided or being carried out under false assumptions about what's "good" for this game. Like talking to a wayward son who desperately needs to get his [censored] together, I feel obligated to point out that things are not peachy right now; claims to the contrary are frankly infuriating and insulting; been there, done that. I have a stake in this game (we all do, some more than others), and I feel like I've damn well earned the right to air my opinion on this. I'm looking forward to the KE/HE audit, I'm looking forward to the dispersion audit. I despise HC and AOs (always have). I despise the spawn and capture system (makes the gameplay absolutely atrocious in close quarters because it leads to nothing but stupid spawn-camping). I despise the UI. Oh and minor graphical updates would do wonders for this game. I couldn't care less about Italian units or new tanks and planes; these are a total and complete waste of dev resources IMHO (the proof is in the results; these will not gain you new subscribers, period). Sims like Post Scriptum and Hell Let Loose, or heck even a game like War of Rights (where your choices are a muzzle-loading rifle and a bayonet) will attract more active players despite having far fewer choices for equipment. All these extra equipment choices amount to is a marketing bullet point; but gamers don't give a crap about that; they don't ask "which online game has the most choices for equipment?" It's NOT a smorgasbord of equipment choices you need, it's good gameplay and good graphics, period. I don't claim to know the right answers, but I sure as heck feel it's fair to point out what's NOT working right now. No. You got it wrong. Players with busy real life schedule the time available for gaming is low. That's why it would be nice to know when there are lot's of players in game to maximize the fun factor. Thank you. Xoom's comment definitely took me aback. Of course player numbers matter to us; they probably matter to us more than any other single factor! I literally refresh the webmap to get a sense of the population. Can't tell you how many times I've logged in to an empty world and then just shrugged my shoulders and logged out. I'm paying to have fun, not to log into no-man's land. Very interesting data. Looks like Steam was wrung dry by February...and for all that, we have about as much people online this year as we did in 2016...and less than in 2013? Wow. And XOOM: " Should I continue to play this game based on X amount of people or not? " Are you serious? Yes, of course, that's one of the single biggest considerations I have when I decide whether or not to log into the game. I thought that would be obvious. The game is NOT fun with low numbers, period. So, where did this pic come from and what data is it pulling from way back? You can also illustrate from the official stats website the average number of sorties per month and observe a decrease since 2011. In 2017 the average was approx 11000 sorties a day, hence if we consider a TOM of 5 minutes, we have an average of (11000*5/60/24=) 40 players online 24/24. 20vs20 is what we see during single AO periods. It gives more a trend than useful values. In 2002 I am pretty sure there have been peaks of 2000 players online. zebbeee, thanks for shining a light on this. Awesome work m8! FWIW: Numbers should get a little a better in the coming weeks with high school/college kids out of school for the summer. 1. I don't know what ANYTHING costs in Europe. But I personally checked WOW, LOTRO and DCUO, ALL of which I play. They ALL charge $14,99 USD per month for a 1 month sub. I didn't do the specials, which could be different, but the base price is the SAME IN THE USA! If necessary I can post the links to prove it. I am NOT a liar. 2. You are posting the monies that they raised for specific purposes and which have been used. I would wager that pretty much ZERO was used to build up a War Chest of capitol that they can fall back on like the big boys have. Posting those numbers did nothing to disprove my statements. 3. You are stating that the income model is a failure, and that the current subscription model cannot keep the game running. But the truth is that it already has and does. True, the game cannot GROW very much, if at all with no new subs... but unless they start hemorrhaging current subs, they are not going under in the immediate future. 4. Yes they raised it, but not in the fashion I was talking about. In response to some other suggestions... considering the current engine... Is it even possible to make the graphics good enough to please new Steam customers without a completely new engine? We have a game now... with a small pop and slow growth... But it is here. Do people REALLY want to risk the company going under and the game going away on this extremely super duper risky proposition of halving sub prices and hoping and praying that NEW STEAM players will ride in to save the day? If, at the end of the day, do we want to risk losing the game, having CRS go under and put XOOM and the rest out of a company? Because if they tried what is being suggested, it would be an all eggs in one basket situation with VERY little guarantee of success... even with a lower price... the new customers would have to sub and stay by the thousands without new graphics and gameplay. Is it even possible to make the graphics good enough to please new Steam customers without a completely new engine? I disagree 100% that graphics are responsible for how the game fares with those folks. ...and there are plenty of indie games with comparatively primitive graphics that are extremely successful on Steam. It's the gameplay that matters above all. So who here has a few thousand new subscribers who they know will subscribe and stay if CRS were willing to take a risk and lowered the overall price? Over half a million individual players downloaded this game from Steam alone which provides screenshots and videos as to what the game looks like. It's safe to conclude the graphics are not a factor in keeping new players from staying. There are many indie games with "pixel/retro" graphics and "extremely positive" or "very positive" reviews. Foxhole... Project Zomboid.... Apocalypse Judgement, Rimworld.....Hotline Miami.... Apart of "the new kids on the block" and some "millenials" there is still an audience who cares more about gameplay than graphics. 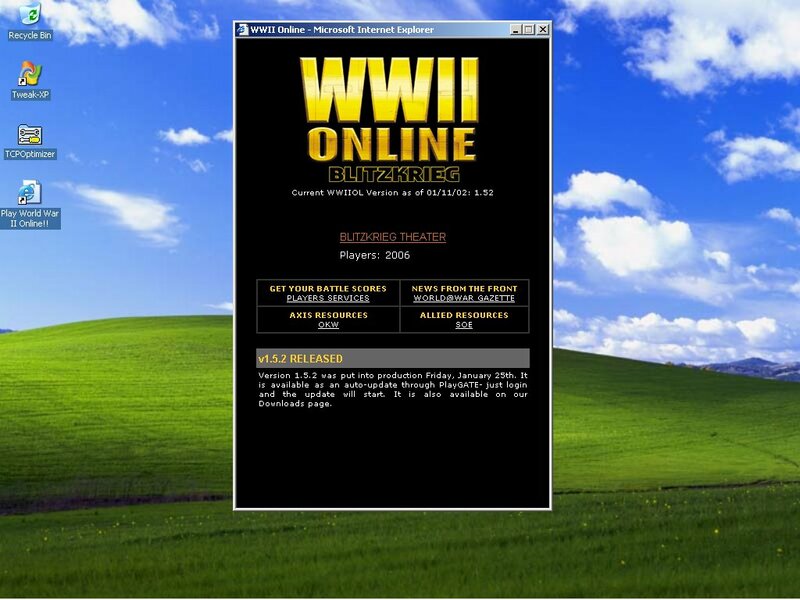 In fact, WW2OL could be sold as "The Masive pixelfront WW2 Game" like a player used to say by ingame chat...to wellcome new players (Koopman if I recall correctly....). I mean to use the "defect" as a something good and "charming". I think there is a lack of basic tools to retain new players, starting with a game manual or at least a decent WIKI showing the Potential of the game , a modern GUI etc. Actually that effort is made by the Squads which members teach how the game works and what can be done in it. A new player who comes to our game and can not find any squad by X reasons is almost a lost player in a pair of days or a week. The lag problem for players out of USA kills very new players too. I hope CRS bring us soon the 1.36 with the new supply mechanics, new UI and the "HE/KE audit" and things may improve. See 3 AO's or even 2 these days is as difficult as seeing the sun in my town. just now there was at least 50 vs 50, but the AO's were mostly dead. it's not new toys, graphics, or price (100 ppl, dead map). something's stopping the game from being a blast to play, the sooner it's found the better.